As LA Unified deals with looming deficits that could reach $600 million, a recent independent Financial Report attributes a large share of it to the ever-increasing costs of health benefits for present and retired employees. 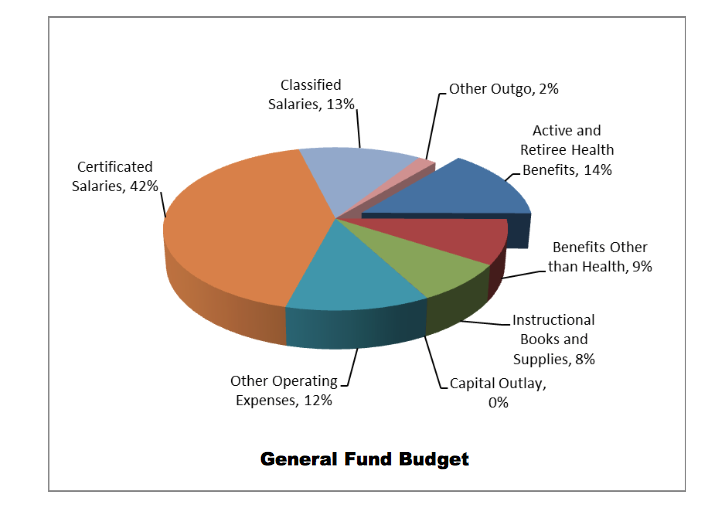 The district spends 14 percent of its budget on active and retired employee health benefits — which is more than it spends on instructional books and supplies. It is also more than the entire budget of existing classified employee salaries, which are jobs in the district that don’t require teaching credentials. In a report for the Budget, Facilities and Audit Committee recently, the district’s Benefits Administration director, Janice Sawyer, said that the district offers a relatively generous health benefits package. “We want to retain talent in the district; that’s why we have those health benefits,” said Sawyer. But, she notes that the population of retirees is growing, compared with the active employee base, and the district is not putting any money aside to pay for those promised benefits. To fund retiree obligations, the district would have to sock away $868 million a year, Sawyer said. Meanwhile, the district is making it tougher to be eligible for lifetime medical benefits. Anyone hired before 1984 needs to work only five years before retiring to get fully-paid individual and family medical benefits. Today, district employees have to work 25 consecutive years before retiring, and the age at retirement added to the number of service years must reach at least 85. In California, only one other school district — San Diego — pays full health care for active employees and their dependents. Long Beach school district pays full benefits for employees only, not families, and most of the other districts pay partial insurance benefits and don’t pay any health benefits after retirement. LA Unified has 225,000 employees, and gets about 68,000 calls a year for questions about benefits, Sawyer said. She said the district is known for its generous health benefits program since the 1940s and it has tried to control the costs of those benefits since the 1960s. In some parts of the report, Ratliff also noted serious problems when one type of employee could be working the same 7 1/2-day and be eligible for benefits while another would not. “That seems like it would call for a lot of unhappiness and unfairness in equity,” said Ratliff. The staff said the unions are working to fix that with the district’s Health Benefits Committee. Ratliff also wondered why teacher assistants are only eligible for half benefits. “How are they doing that if they have kids?” she asked. Ratliff said her priority as a board member is to figure out how to keep the district from going bankrupt. The district has eight unions with a benefits program that includes life insurance, medical, dental and vision — while working and after retirement. But, it’s not all perfect. Vladovic, who is covered by the district’s health care as a retired employee, said the dental benefits are not as good as they could be. “All you need is one root canal and there goes your benefits for the entire year,” he said.